One of life’s mysteries is how, occasionally, movie producers manage to get the narrative in the right ballpark. A recent movie “The Martian” depicts a marooned astronaut, acted by Matt Damon, left for dead on Mars and the subsequent story of his survival and final rescue. All quite believable and technically correct too. Mars is the red planet and the movie was filmed in Jordan at a place called Wadi Rum. And the scenery was also sort of familiar which reminded me of the red sandy Australian deserts I had to work in when I was tasked with sampling the region for diamond indicator minerals. We used Bell Jetranger helicopters to ferry the sampling crews out to the remote red sand dunes. Navigation was by 250,000 scale topographical maps and dead reckoning; no GPS instruments then. We literally counted and identified the individual sand dunes in order to navigate. And if these were proper sand dunes and the result of wind blown material, and thus essentially mobile, navigation could not have been possible since the dunes would have moved and not in place as shown on the maps. 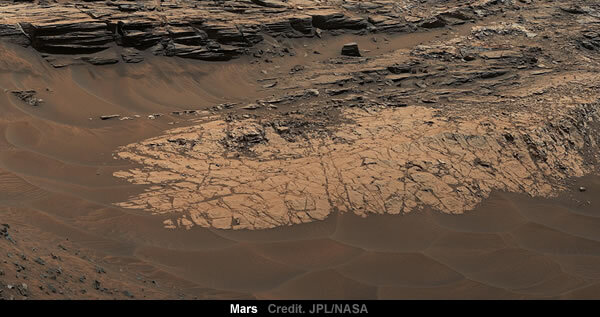 So these dunes are interpreted as ‘fossil’ dunes but geologically remain poorly understood. The problem is not so much the mechanics of dune formation as understanding the origin or provenance of the wind-blown material and its red colouration. Mostly the red dunes are comprised of fine quartz sands with a ferric oxide coating. Their aeolian nature is a given but from where did the material come from? (I know the geology east of Lake Disappointment very well as the Jetranger decided to drop out of the sky as a result of engine failure. So I had some 7 hours to idle away by geologising while waiting for the rescue chopper from Roy Hill). There is the long standing debate of the origin of dunes world-wide, whether the dunes are sourced from nearby sediments as erosional products, or, and here it gets stupefyingly dense, wind blown. Dune formation expert, Professor Robert Wasson from the National University of Singapore says the research revisits an old debate on the origins of desert dunes. “Most dunes are formed by wind blowing sand around and accumulation of that sand,” says Wasson. Wasson has studied similar linear dunes in the Simpson-Strezelecki and Great Sandy Deserts of Australia. “Some people think these long linear dunes migrate tens or even hundreds of kilometres, but all the evidence suggests they don’t migrate very far at all,” says Wasson. The topic remains controversial because of the discovery of dunes on the Saturnian moon Titan, as discussed in the ABC link above. So dunes are formed by wind blown silts and sand which come from where? And if the dunes are not migrating, but seem to be stationary, then you might also be allowed a few Fawlty Towers Manuel ‘Ques?’. Basically we seem not to know where the sand comprising the dunes comes from. This fact can also be applied to the mysterious origin of the various Loess deposits around the globe. And here’s the thing, why hasn’t some of this ‘windblown’ sand settled also into the world’s oceans and lakes? Surely wind blow silts should occasionally dump into the oceans? Oceans comprise 70% of the Earth’s surface, after all. Most peculiar that these deposits seem to be restricted to the land masses. And if some dunes are formed from erosion, as suggested in the ABC science article, then eroded from what? River and lake deposits which themselves are also erosion products, so we are dealing with eroded erodites? And then there is the problem of how sand deserts form in the first place. English author Mick Harper published an interesting theory on desert formation in which they form on continents down-wind from seas and oceans. The theory does not, however, explain where the silt and sand came from, though the implication is that the sand and silt is essentially derived in-situ though how lithified sediments could ultimately break down into sands and silts on their own seems a bit of a geological stretch. And of course the original sediments have to be the same mineralogy as the daughter wind-blown material. You can’t get quartz grains from eroding and weathering peridotite for example. The Australian Aborigines maintain a belief that the topography of Australia was formed by the Creation Time rainbow serpent. Whether of the NT/QLD gulf country, the Murchison region of Western Australia or the desert country south of the Kimberley region, all share the same narrative of rainbow serpents forming creeks, rivers and occasionally craters such as the Wolfe Creek crater where the rainbow serpent left the ground towards the sky after it had formed the nearby Sturt Creek. 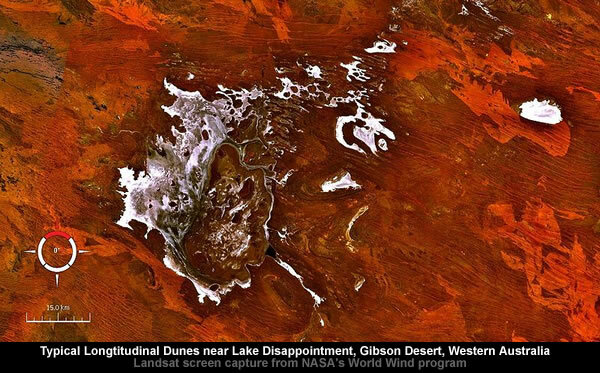 Topographically Australia is for most parts of low relief and flat with many sand-choked drainages, particularly in the central and western parts of the continent. A rainbow serpent formed the sand-choked Sturt Creek? I have visited the Wolfe Creek Crater and am familiar with the geology of the area. In fact all of the major drainages in the deserts of Australia are sand-choked, even in the Kimberley Region. Except that the river sands in the Kimberley are not red in colour while those to the south are. So a local derivation is implied. The standard theory for sand formation is from the weathering of rocks containing quartz grains, basically granite and gneiss. Perhaps volcanic rocks with quartz phenocrysts, and of course sandstones. Except that sandstones are lithified deposits of sand, so there is a wee bit of circular reasoning in play when we assume the provenance of some sands are older sandstones. Physical and chemical weathering, the process by which rocks are altered to produce more stable minerals at the Earth’s surface. Which means fresh outcropping rocks are unstable? And then the American sedimentologist Robert Folke discovered two size populations of quartz grains in sand dunes – the finer size group being the result of bird dropping where birds excrete miniature rounded silicon dioxide, or quartz, grains. Just mentioning this, of course. Years ago, during 1981/2 I conducted some geological sampling experiments in the Kimberley Region of Western Australia. The goal of the experiment was to work out where heavy minerals tended to accumulate in sand choked drainage systems. Specifically I was studying the sedimentology of pyropes, diamonds, and chromites. What I needed to know was how far downstream from a kimberlite outcrop the heavy minerals could be tracked, the target grain size being ‘sand’ as defined by Udden-Wentworth size classification scheme. I knew from experience that heavy minerals accumulated in bedrock trap-sites, associated with gravel, but I did not full understand how heavy minerals continued to travel, or saltate, downstream to the next trap site. No one did. One theory was that during the floods the heavy minerals would by pass a full trap-site and accumulate in the deepest parts of the drainage bed under the sand, the system acting much like a vibrating jig bed. I discovered the heavy minerals travelled over and on top of the basal sand along with surficial gravels, what we described as lag gravels in the diamond exploration business. There simply was no density stratification being observed. The heavy minerals also did not descend down through the sand during floods either. What astonished me even more was the realisation that the sand that choked the drainages wasn’t moving downstream either. This was especially so for drainages on the flat plains, not so much in the hillier uplands where sand choked drainages did not exist. It seemed that during floods the existing sands in the drainages acted like a pseudo-bedrock over which the active sediment saltated downstream. Not even gravel seemed to accumulate under these sands; a most peculiar fact not mentioned in the textbooks. One nagging field observation continued to distract me each time I forded the lower reaches of the Drysdale River in the Kimberley on my way to the exploration camp located on the King George River. Here the bedrock is Carson Volcanics, with abundant rounded cobbles and boulders in a matrix of fine white sand. The irritation was that a temporary loading ramp was bulldozed out of the sand/cobble sediment and each start of the field season after the monsoon rains I expected to see the ramp destroyed by the flowing water. Not even the sandy matrix was affected by the flood waters. 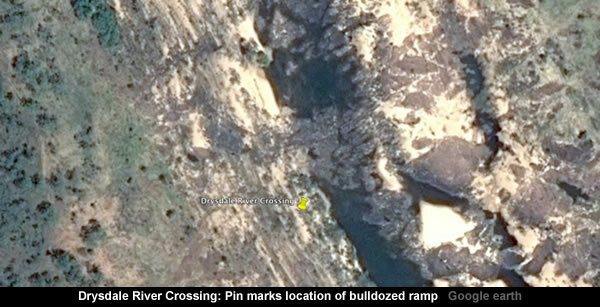 So I wondered what type of flood would be needed to erode this artificial structure in the river bed. It never occurred to me that the drainage channel may not have been formed by the flowing water, but I soon had to change my mind when I learnt the local aboriginals reckoned that the rivers and creeks were formed by the mythical rainbow serpent. This is regarded as mythical nonsense by settled science but for those who understand electrical plasma physics the rainbow serpent is regarded as an aboriginal description of a large long term and persistent electrical discharge between the Earth and the ionosphere. It is not generally realised that tribal peoples all over the world describe natural novelties almost literally using words they use in every day life. A sinuous electric discharge, like a Van Der Waals discharge and scaled up, moves much like a snake, and so the Australian aborigines described it as such. And the aborigines reckon the Rainbow Serpent also sculptured the landforms, whether near Kalumburu, Halls Creek, Borroloola or Lake Eyre. 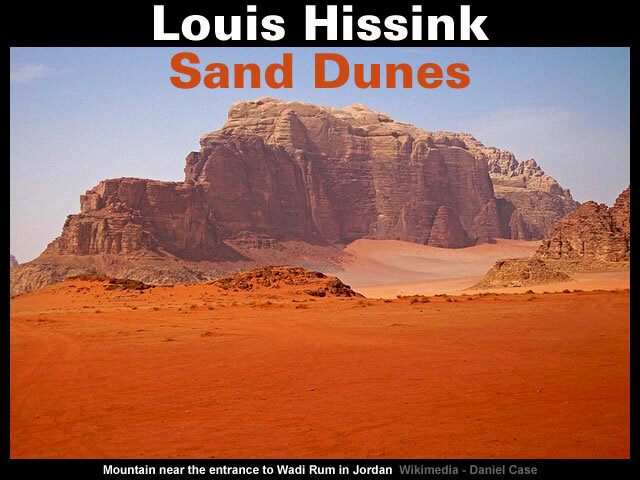 Download Sand Dunes by Louis Hissink in PDF format. Gallery | This entry was posted in Earth, Geology, Guest Authors, History. Bookmark the permalink. I have observed that the government has been migrating to putting in stone and big size rocks where vegetation use to grow. I suppose to cut down on maintance. The ironic part is that when there is a heavy downpour, the rocks and stones seem to float. They float onto the road with very little sand. It was the absence of sand that drew my attention. A big piles of rocks and no sand, that’s strange.